This is one of the other great “must-have” books for presentation design enthusiasts! Presentation Zen is very complementary to Slide:ology and very different in many ways as well. 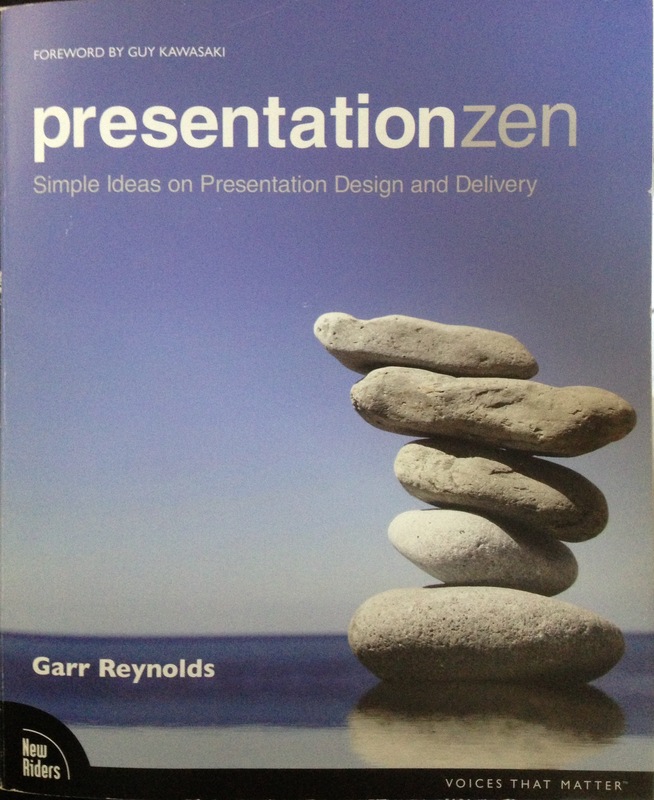 It was one of the first texts that I read during my “presentation design fellowship.” Presentation Zen is “about communication and about seeing presentations in a slightly different way, a way that is in tune with our times.” It is described as an “approach” to presentations. In it, Garr makes the case for this approach and give many amazing examples of slides and people that have implemented these ideas with great success. Like Slide:ology, the “weakness” of this book (probably more accurate to describe it as my own need this book doesn’t cover) is the integration of these ideas with education principles. But, that’s what I’m here for, I guess. Reynolds, Garr. Presentation Zen. 2008. New Riders.